One of my favourite restaurant and household brand Din Tai Fung is the title sponsor for Jack Neo's movie, The Lion Men! 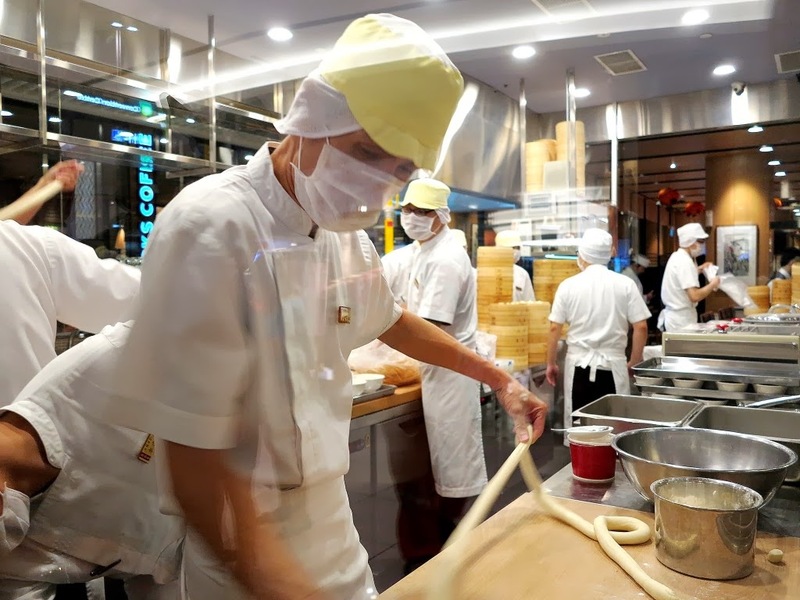 I was invited to one of their many hands-on workshop at Suntec City where we learnt from the chef how to make their signature Xiao Long Baos which are famous for its 18-folds. But here's what made the workshop even better - lead actors of The Lion Men, Wei Liang and Tosh Zhang were there as special appearance! See through kitchen where the public can take a glimpse of chefs hard at work, as well as witness what goes on in the kitchen. Thank you for the consistently delicious food! Talk about effort. Since the workshop was in conjunction with The Lion Men and held during the festive period, there was a special lion dance performance held right outside the restaurant. Huat ah! Cue screaming from the ladies here. Suave and stylish, it's no wonder these 2 highlights of the event were melting hearts and stopping traffic as they arrive in a trishaw! 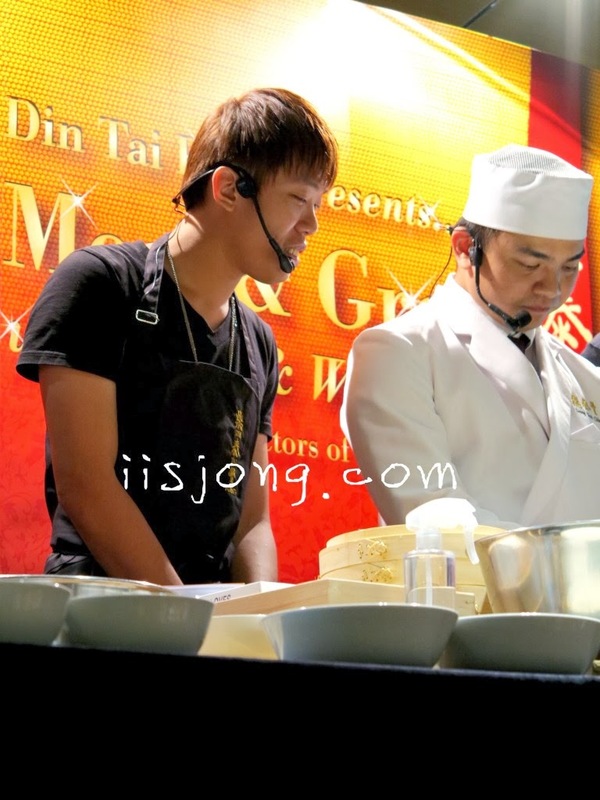 Together with the chef, they prepared Xiao Long Baos with us step-by-step on stage. Wei Liang had prior experiences since he got the opportunity to practice for the movie, but Tosh was as clueless as the rest of us. The session was filled with laughters from silly mistakes and little jokes. Instead of the actual minced pork that they usually make at Din Tai Fung, we used red bean paste as a replacement instead. 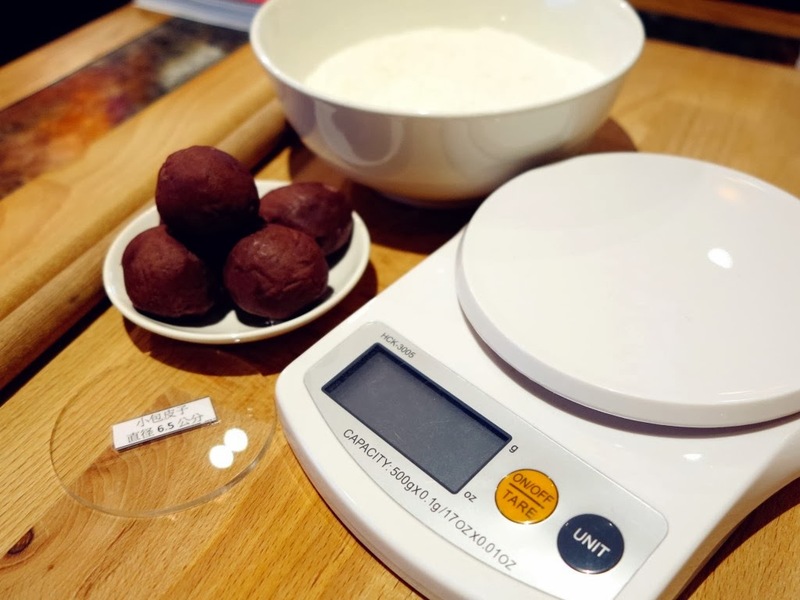 It is important to be precise - every weight, size and method used to create each dumpling will affect the taste! 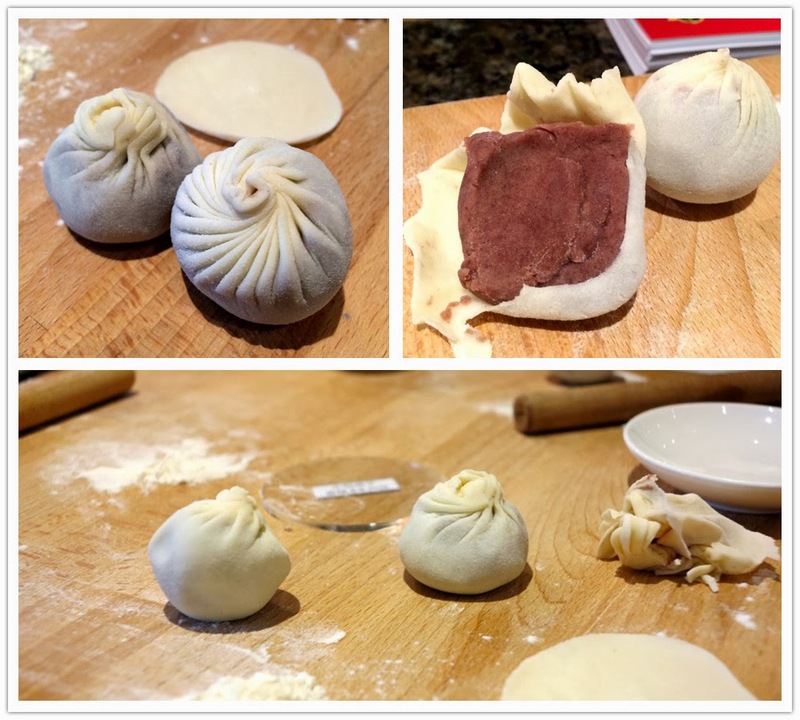 Did you know that each exquisite Xiao Long Bao undergoes 6 precise preparatory stages before they're presented? Also, each chef has to undergo years of training to perfect this little one! The effort alone is worth every amount paid. Not only did I enjoy a feast for my eyes, my tummy was well-fed too! 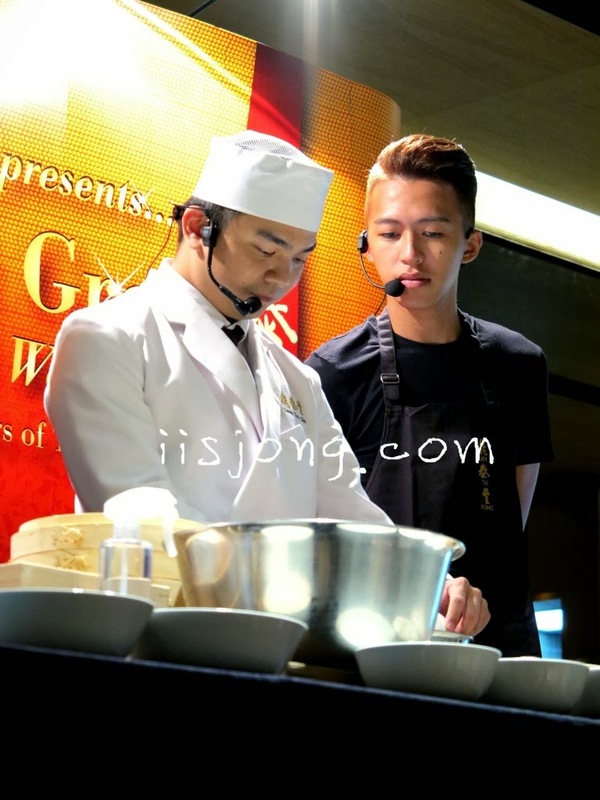 The hands-on workshop was followed by a “lo-hei” and high tea session. The Salmon Prosperity Yu Sheng was hands-down one of the better and more creative ones I've ever had. Din Tai Fung's innovative version included crispy yam strips, Tian Jin roasted chestnuts, jellyfish, and homemade plum juice! Seldom found locally, the Roselle Drink is perfect for those who are health-consious. It is packed with ingredients that are known to lower blood pressure, aid digestion and refine complexion. I admit that the drink did not appeal to me at the first few sips because it was very concentrated. However, I found myself slowly getting used to it better afterwards with its unique and sweet taste brought to my tastebuds! How could you go to Din Tai Fung without trying their signature appetisers? This Fragrant Pork with Crushed Garlic is a delightful cold dish consisting of thin slivers of succulent poached pork enveloping crunchy cucumbers and topped with garlic sauce, sesame and spring onions. I am not a huge fan of the Red Dates with Glutinous Rice, though. It had a weird but sweet taste to it, slightly hard on the outside. But I'd give it a try again with my mum as I know she'd love this! The Oriental Salad in Special Vinegar Dressing is a perennially popular appetiser with a simple mix of julienne seaweed, bean sprouts, chilli, beancurd strips and rice vermicelli, tossed in a light, tangy dressing that boasts a myriad of flavours all in one serving. This is the Stir-fried Dou Miao with Garlic that I love! It's a deceptively simple dish made with only premium young, tender shoots. Every batch of specially selected vegetables is almost identical in length and quality, and is cut with precision before being tossed in the wok with just a teaspoon of sunflower oil. Crispy Golden Prawn Pancake is a definite must-try! This chef's recommendation is everything the name describes. The prawns and paste mixture is wrapped in one thin layer of beancurd skin fried to perfection. Sour, spicy and savoury notes, combined with a smooth, comforting texture, the Hot & Sour Soup is a classic Chinese soup that makes a perennial hit, stimulating the palate for dishes ahead. Ah, there we have it. Hello, world-famous Steamed Pork Dumplings! Any trip down to Din Tai Fung without ordering this dish is a wasted trip. This crowd favourite, also affectionally known as Xiao Long Baos, traditionally contain minced pork wrapped in a delicate dough skin, which is then pleated, twisted at the top and steamed. This signature rendition consists of juicy meat filling wrapped in a melt-in-your-mouth skin with a minimum of 18 exquisite folds. Another must-order dish for me is their fried rice! They have different add-ons for it, and the one we had was Fried Rice with Shredded Pork and Egg. The fragrance and taste had me sold. I dare say that Din Tai Fung serves the best fried rice I've ever eaten! It's kinda amazing how yummy they made it as the ingredients are pared down to simply just rice, shrimps, eggs, and spring onions. Each plate is of a certain weight and minimal seasoning is used so that the natural fragrance of the eggs and spring onions shines through.